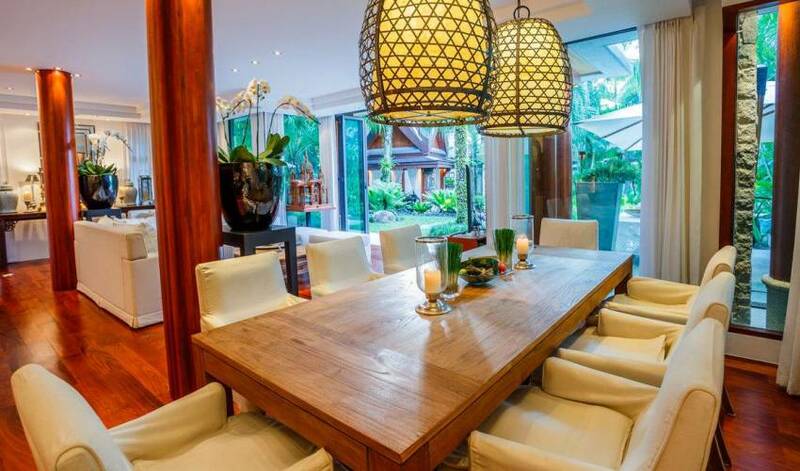 This luxurious 4 bedroom designer villa in a quiet small 7 villa resort in Surin Beach on Phuket's west coast. 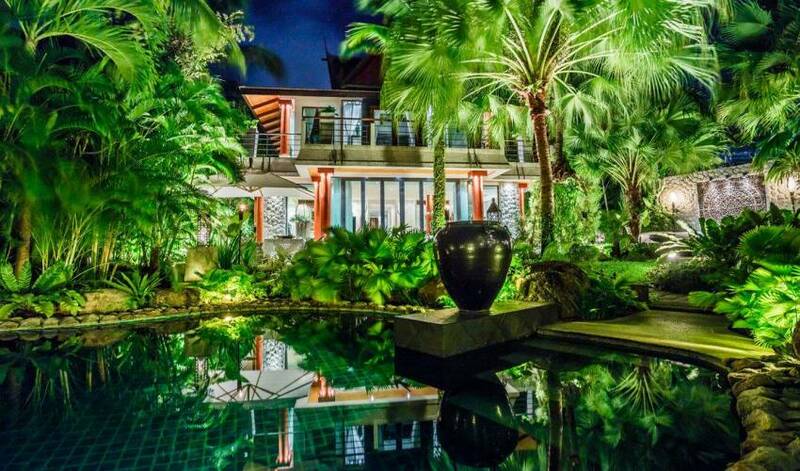 For rent: Exclusive luxurious 4 bedroom designer villa in a quiet small 7 villa resort in Surin Beach on Phuket’s west coast. 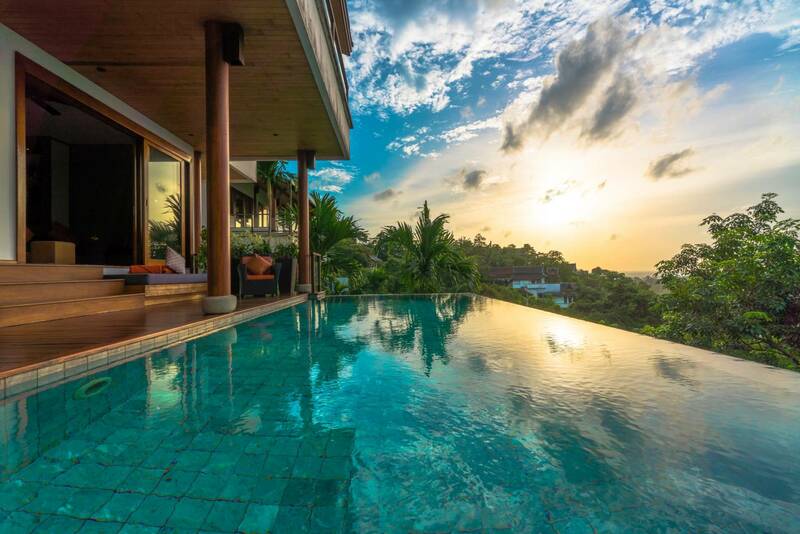 Built around a stunning common free form swimming pool of 33 x 8 meter. 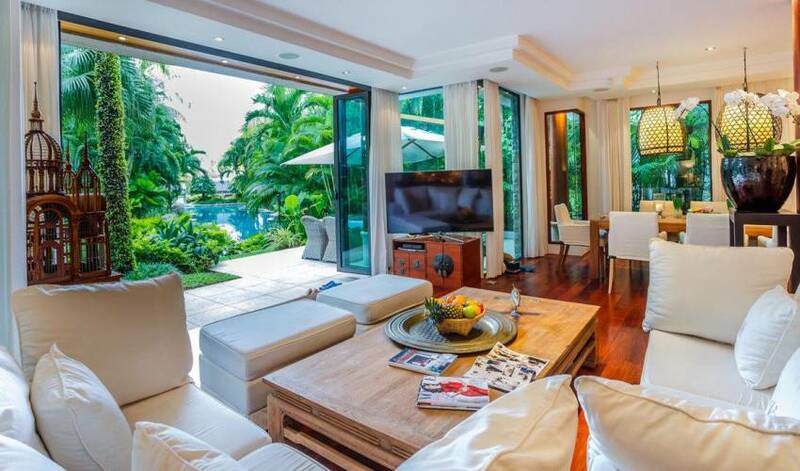 The Villa has a designer suite of 80m2 and 2 guest rooms with bathrooms en suite. 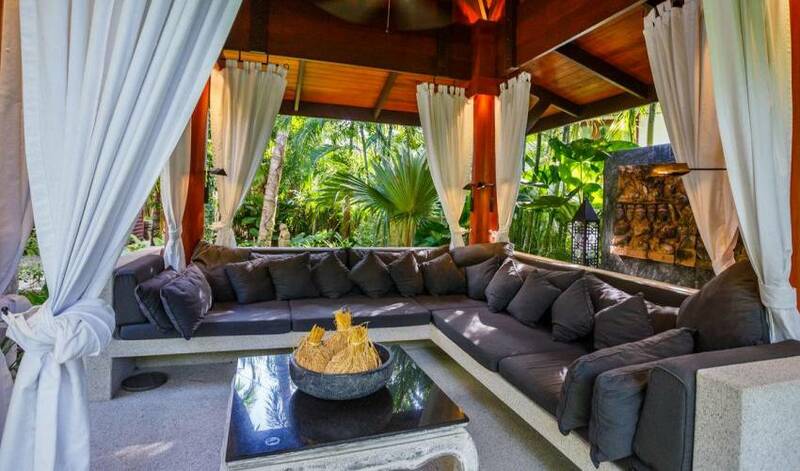 A romantic lounge sala and open air dining sala with space for 10 guests can be found outside.The villa also features an outdoor coffee/breakfast table and sun deck overlooking the swimming pool. All decorations are selected by the designer, influenced by Ralph Lauren. 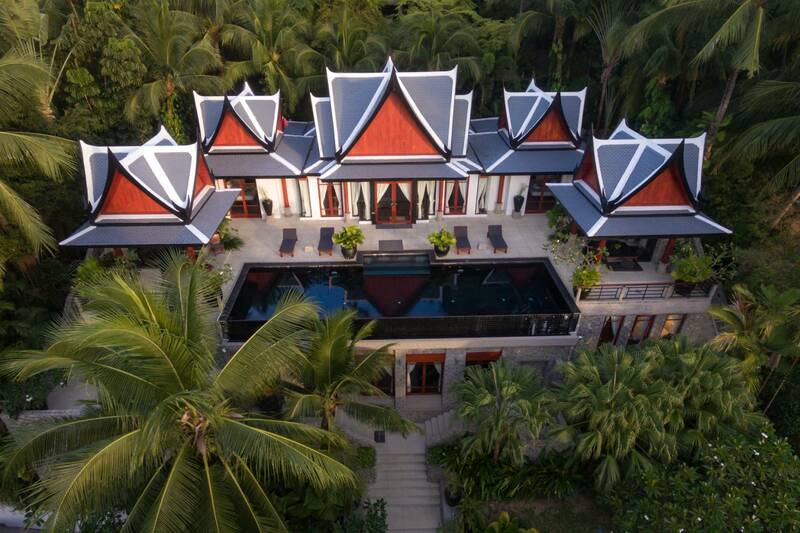 The villa has four bedrooms with each an en suite bathroom. Up to six persons are allowed in the villa. Friendly staff cleans the villa and prepares your breakfast. High speed wifi is available in every room and airport-pickup and drop off (in a luxury Van or BMW 5 series) is included. All rooms and outside areas have high speed internet. For your entertainment there is cable TV (over 150 channels, including several English spoken such as BBC, CNN, etc. ), internet TV and 250 movies. The resort is guarded and has CCTV cameras, guaranteeing your personal privacy. 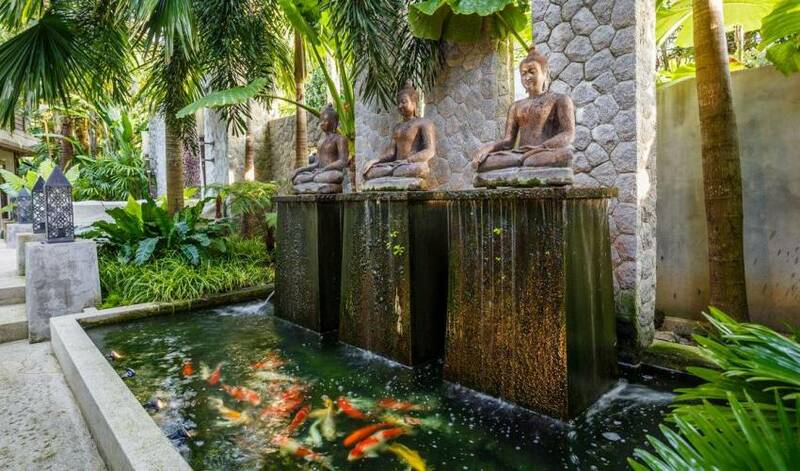 The garden with mature trees and a Koi pond with 40 Koi carps, has been designed by landscape designer Patraporn Sriphet and has more than 200 different trees and plants. 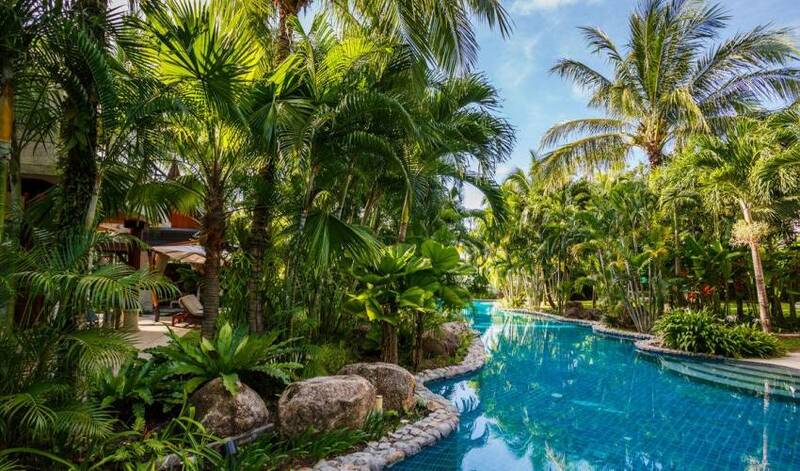 We offer you our well trained, friendly staff speaking ‘nid noi’ (little bit) English: they prepare your breakfast (Thai or International) and clean the villa. Fresh fruit is brought in from local markets, salads are catered by Royal King Projects. 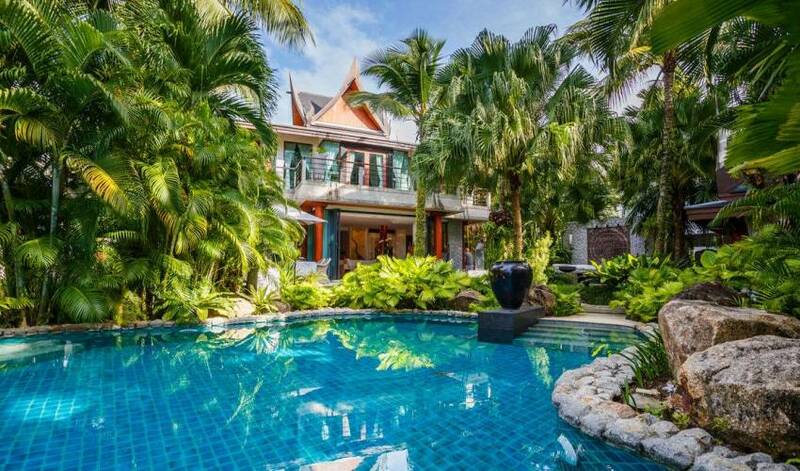 The villa is 30 Minutes from the airport and 45 minutes by car to the shopping malls of Phuket Town. 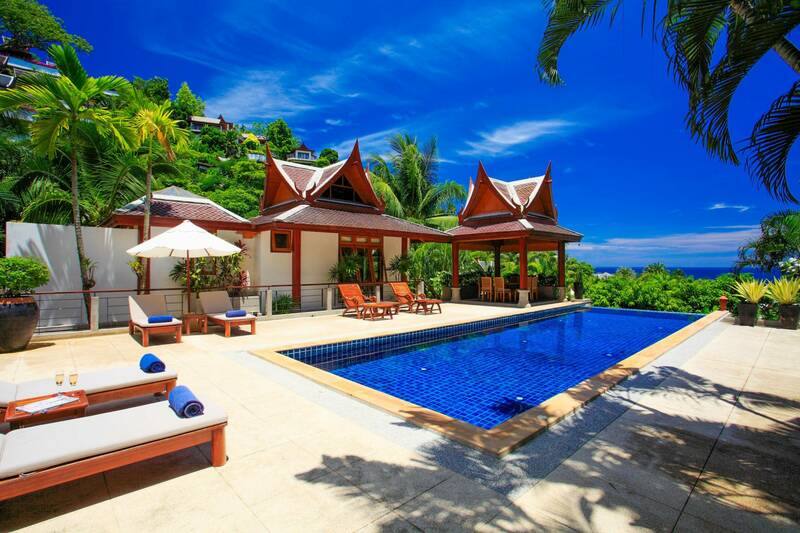 Patong is just 15 minutes away. It’s only a 6 minutes walk to one of the most beautiful beaches on the island with famous beach clubs as ‘Catch’, ‘Diamond Club’, ‘Zazada’ and many restaurants.